In order to stand at the front of the line, Shigeru Fukuyama first had to get to the front of the board. It can take a long time to do both. And sometimes you don't even get to do either. But Shige does it all. And he does it right here in Halifax with Aya Fukuyama, his wife and partner at Sushi Shige, by his side. 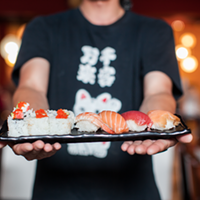 Itamae, the Japanese word for sushi chef, quite literally, means "front of the board." It's a title that has to be earned. Fukuyama—better known simply as Shige—has more than earned it. Shige is the best sushi chef in Halifax. Not arguably. He is. He has no peer. And he's not just the best sushi chef in Halifax, he is one of the great chefs in Nova Scotia. And the story of how he got here started with a dishcloth. "In Japan if you're going to be a sushi chef, a traditional type, it's a long time," says Aya. "When he was learning, basically it was three years of washing dishes. And then watching the master do it. Nowadays young people don't want to do that, but you have to. You have to learn from watching. No question." The path to becoming an itamae took Shige around a decade. After the years of cleaning, the role in the apprenticeship eventually progresses to the preparation of rice. Once one has proven capable in rice-making, they get to go "near the cutting board," as a wakiita. 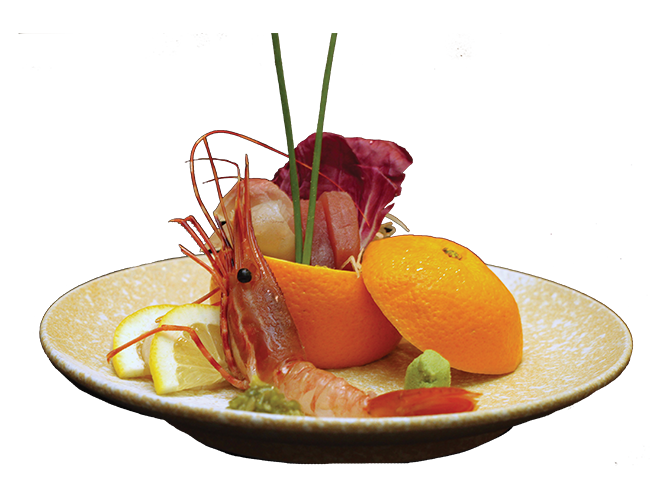 At that stage of the apprenticeship there is prep work like grating ginger or wasabi, slicing vegetables, cooking eggs and perhaps, if you have really proven yourself, even butchering fish into saku, the stunning blocks of fish from which sashimi is carved. 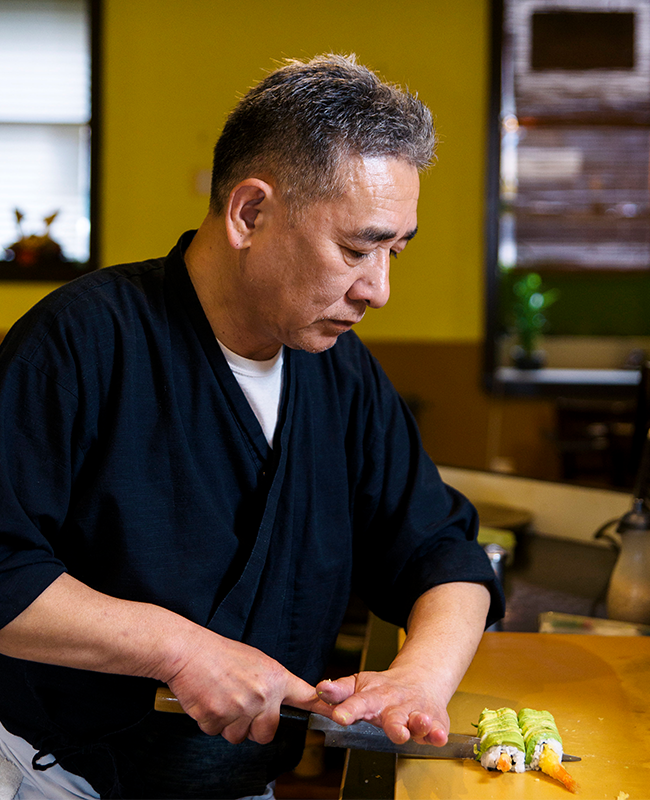 It is during this time that the apprentice masters the hocho, the insanely sharp array of sushi knives. Once the knives and food have been perfected, there are still the less tangible things to master: How the wakiita moves, the grace of their work and how they treat others, including their customers. All of these things must be mastered before they can become a master. After he mastered sushi, when Shige was living in Toyko, he was a part of the Japan Sushi Association, Sancho-kai. His peers in the association included Jiro Ono. This was decades before David Gelb cemented the now-91-year old legend as the world's greatest sushi chef with his film Jiro Dreams of Sushi. "Shige worked at Jiro's when the restaurant needed extra help from a skilled chef," says Aya of the time Shige spent alongside the legend at Sukiyabashi Jiro in Ginza, Tokyo. "It happened more than 25 years ago." "It was a long time ago," says Shige of the 18 years he worked in Japan. "All training was in Japan. Then I worked in the Prince Hotel in Japan. It was kaiseki—traditional meals of sushi with many courses. After that I came to Toronto. My friend bought a Toronto restaurant and I came to work as head chef. It was a Japanese-style restaurant, but it was a different time. Customers were very different." 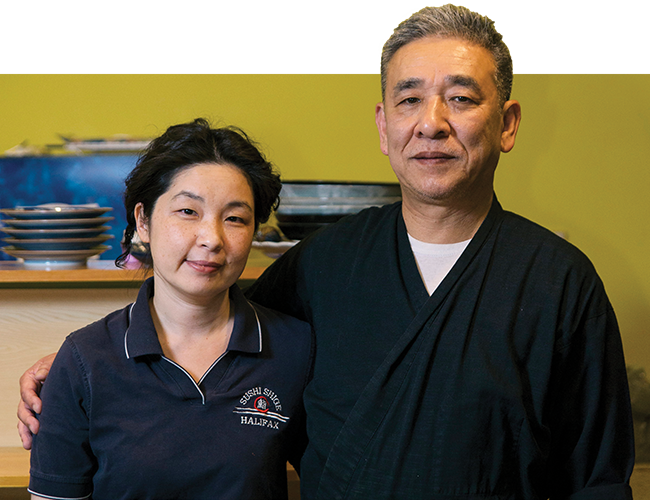 It was after that seven-year stint at Take Sushi (pronounced tah-keh, meaning bamboo) in Toronto, and after a visit to Halifax where they fell in love with the city, that Shige and Aya decided to move to Nova Scotia. And in 2002 they opened Sushi Shige. "There were not many Japanese restaurants," says Aya. She counts off the ones that were open at the time: Hamachi, Momoya, Doraku, Dharma. "Maybe five or six," she says. It was a far cry from the current situation where even grocery stores sell sushi. Sushi Shige’s owners Aya and Shige Fukuyama. "Also, we didn't know anybody. That was a challenge, especially to open a new restaurant. And to be Japanese. Because here everybody knows each other, it's a small city. But we just tried hard. We tried to do something that was real Japanese food." Sushi Shige is almost ostentatious in its lack of pretension, in its simplicity. It's tucked into a side street across from a parking garage, the sign above the door is flush with the wall, no bells or whistles, no neon lights or flashing arrows to signal that it is one of the best restaurants in the city. Little trays of plastic sushi in the window have dusty Saran wrap on them. The sign with the restaurant hours is hand-written with a smiling maneki-neko, the lucky waving cat, drawn at the bottom, sun-bleached Trip Advisor and Yelp recommendation stickers below it. It would be very easy to miss this restaurant. 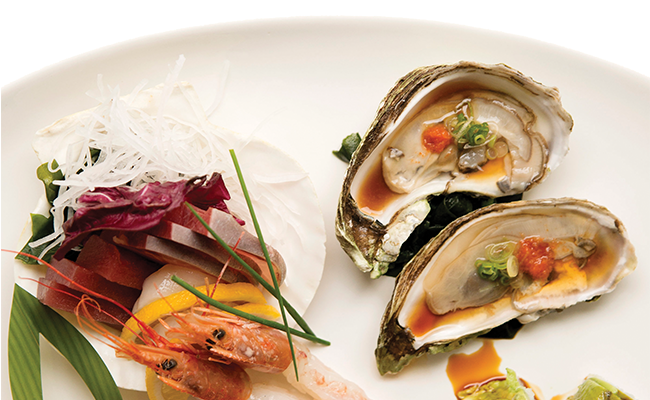 Shige is a singular figure in Halifax cuisine and the Shige experience is different from many other sushi restaurants here. Shige is the lone sushi chef, so he can always be found behind the counter in the middle of the restaurant's dining room. "Some people say 'Oh only one piece or two piece, how come it takes so long?'" says Aya. 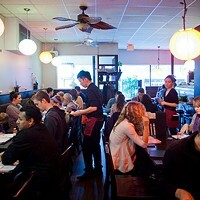 "Other restaurants are working with two or three sushi chefs, but he's our only one. But we want to be fair to the customer. Each one order he has to do by hand and he doesn't want to make it a rush. It's a very different type of restaurant, I think." There is no part of Shige that strives to be a celebrity chef, no ego in a pristine white coat who wanders a dining room looking for applause or who soaks up public glory while unnamed talent actually executes the entire menu. Sure, there are other cooks in the kitchen, but Shige is Sushi Shige. There is no restaurant without the chef. At Sushi Shige, if the sushi chef takes a day off, the restaurant is closed. Shige and Aya only have one goal: To do good work. They use the best seafood they can get their hands on. Shige crafts each dish himself and he takes a lot of joy and satisfaction from being able to see each customer enjoy their meal. "Shige believes that if we serve good food, the customers will follow us," says Aya. "Shige and Aya both take a great deal of pride in their work, and in the precision that goes into both preparing and serving Japanese food. They are also very kind people and treat their staff like family," says Jaime Forsythe. Forsythe was a server at Sushi Shige for two years at its original Spring Garden Road location, moved away for a few years and rejoined the family for a few more in 2011 when they opened on Granville Street. 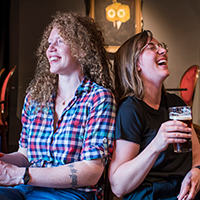 The space on Spring Garden was expensive and didn't have the sightlines that they wanted in the dining room, so when the lease ended, they moved. "We wanted a more open space because he wanted to be able to see the customer," says Aya. "You couldn't see the customers. Shige wants to see everybody. Shige always says, 'If the customer is happy, I'm happy.' And he wants to see if everybody's OK."
There is little in this world more intimate than trusting someone to feed you. And that is not lost on Shige. Sushi may seem simple, but there is precision and consistency required in every aspect, from how the rice is made to how the fish is cut. And for a chef like Shige, to successfully create a meal is a combination of handling not just the ingredients and his knives with skill and grace, but to handle the customers as well. The entire experience is one of respect and honour; it is truly an art to be an itamae, one that has humanity—consideration, good will, trust and care—at the core of it. And while that may seem complicated, the reality of it, for Shige, is simple. And there are only a few things that he feels are truly important. "Heart," he says. "Heart and love. And the knife. "You have to know how to cut," Shige says. He counts on his fingers as he considers his collection. "I have nine knives or something like that. Japanese knives are knives of a different type. The fish are cut very sharp. It is a different kind of fibre." Japanese knives are made of carbon steel and have a sharp, single beveled edge which allows for a precision cut through the connective tissue of the fish without the knife sticking to any of the sticky fibres. As you'd expect, there are a lot of knives with a lot of functions. 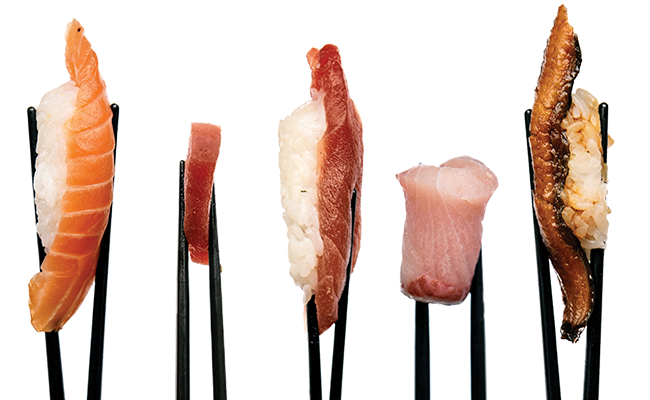 There is the long, thin yanagi-ba, which smoothly slices through delicate fish. The curved blade of the sushikiri cuts through rolls with a roll of its own. The sword-like takohiki cuts paper-thin slices of meat with ease; the deba is sturdy enough to cleave through small bones, cartilage and fish heads. And that's just the tip of the knifeberg. "Everyday I sharpen them," says Shige. Care for his knives is as much a part of the art as care for the food he prepares. "I've known Shige for over 10 years and he always amazes me as a chef," says Ami Goto, owner and chef at Kitsune Food Co. "He also has a great sense of humour which not many people could guess! We have a great relationship and I respect him a lot." Goto met Shige and Aya when she was a server at Dharma Sushi, before she bought and sold that restaurant and opened Kitsune. "I think Shige is the most experienced and amazing Japanese chef in the Maritimes for sure," she says. "He has tons of culinary knowledge, not only sushi. When I have any culinary questions, I ask him. He always takes his time answering all my questions. I would love to spend hours with him to learn if I have the chance." The food Shige does prepare tends towards the traditional, maki is small and tightly rolled, the nori often on the outside so you can pick it up with your fingers and easily eat it, as they do in Japan. But Shige and Aya are not above looking at different flavours and textures, seeing what is new or interesting to their customers. So you will find those visually stunning rolls with rice on the outside and a shrimp's tail curving out of the ends and the ones with layers of thinly sliced avocado draped over the curve and some larger rolls stuffed with creatively laid out fillings. But quality remains important. This is not the restaurant to go to if you want rolls stuffed with tempura crumbles or mayonnaise. "Sushi is not just traditional and it can be international," says Aya. 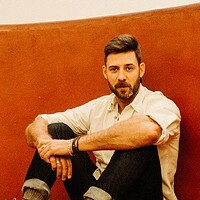 "Some people are a fan of European style. 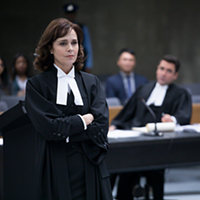 It doesn't matter," she says with a shrug. "Good food is good food." But the feedback they get from regular customers and from people who have been to Japan gives them the motivation to stick to a lot of their traditions. "Shige is an artist; He is a creative thinker and cares about the visual effect of the dish as well as the flavour," says Forsythe. "The interplay between the server, kitchen cook and sushi chef has its own kind of language too, part-Japanese and part-English." The Fukuyamas will never sacrifice quality for quantity and go the route of an all-you-can-eat restaurant. But they appreciate that there are lots of places and ways for people to try out Japanese food and to find out what sushi and sashimi they like. "Some customers, Halifax people, if they go to Japan, if they go to a sushi restaurant or another noodle restaurant," Shige says. "My restaurant is the same. Sometimes it's different fish, but my restaurant is almost basically the same food. The taste, it's the same." Nick Budreski owns CANESP, a seafood distribution company that ships Nova Scotian product all over the world. Budreski doesn't just distribute, though: His family owns oyster and sea urchin leases and they pick and dive for them themselves. He sells his hand-picked Black Point oysters in New York and Japan. He also sells them to Shige. "All the products we sell him are as fresh as it can be," says Budreski, who sells Shige fish like tuna, organic salmon, sea bream and striped bass. "Is it easy to do it? No, it's not. 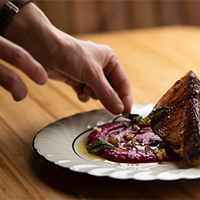 But when it's a local farm, be it with our oysters or with, say, striped bass then obviously it is easier, but otherwise it takes very difficult, strict inventory management on his part." Budreski doesn't know exactly how each fish is used at Sushi Shige—some may end up as sashimi, some may end up grilled in a teriyaki dinner. "Traditional Japanese sushi chefs will further process, they'll cut it into saku blocks and flash freeze," he says. While many assume sushi-grade fish is plucked straight from the sea and dropped on their plates as soon as possible, it's actually frozen for 36 or more hours to kill any parasites. Budreski also supplies Shige with bar clams, his oysters and sea urchin, and sometimes other one-off fish like fluke or halibut. Sometimes he has to source from outside of Nova Scotia—it is notoriously difficult to consistently source the amount of seafood required at a restaurant from Nova Scotia fisheries alone since exports are highly prioritized here. 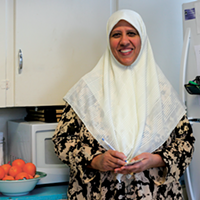 "Some people say here there is the big ocean you must be getting all the good fish," says Aya. "But that's not the way it is. We do like to order from a local fishing company, but we also do have to get some from Japan." That is especially true of items like tobiko and roe. "Much of the tuna is always from the Halifax area," says Shige. "But everything here is going to New York or Toronto or even Japan." "If he has a good fish, he's so happy," says Aya. "If the customer is happy, I am happy," replies Shige. Shige and Aya are a true partnership. They've been together long enough that neither can even remember how long, and have been married since they lived in Toronto. "I always forget," says Aya with a laugh. "One of our staff knows our marriage day." So it has been at least fifteen years, I point out. She laughs. "Sometime in the spring we did it. We were together more than 10 years, that's for sure." And so their restaurant is an extension of them. "I feel like this is my restaurant. It feels like a kid," says Aya. She was actually pregnant when they were renovating the space. "I was painting and the next day I had a baby. So I feel like this is one of my kids. I'm like 'I love Sushi Shige, my kids are OK.'"
"This has been a big part of our life. I don't know," she says with a bit of a shrug. "It is just life. Being together." Melissa Buote is the food critic for The Coast. The new joint offers sushi of a different kind for people on-the-go.